The UEFA Europa League is the little brother of the UEFA Champions League but the smaller competition throws up considerably better betting opportunities this week. 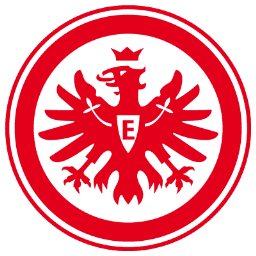 Three UEFA Europa League home teams – Frankfurt, St Gallen and Sheriff – leap off the coupon and each of them is odds against to get off to a winning start as the group stage kicks off with 48 hungry teams competing in 12 sections. Frankfurt is available at the attractive odds of 2.15 with BetVictor to beat Bordeaux. Frankfurt has rebounded well from losing 1-6 to promoted Hertha in its first German Bundesliga match, qualifying for the UEFA Europa League group stage with home and away wins over Qarabag of Azerbaijan and defeating Braunschweig and Bremen on the road in domestic action. The key to this bet, however, is the form of Bordeaux, which was terrible in its 0-2 French Ligue Un home loss to Paris Saint-Germain last time out. Bordeaux has been ordinary in all five of its French Ligue Un games this season and demand opposing. St Gallen beat Spartak Moskva 5-3 on aggregate to reach the UEFA Europa League group stage and it is 2.63 with Betfred to register a home victory over another Russian side, Kuban. St Gallen showed tremendous courage to fight back from a 1-2 aggregate deficit one minute into the away second leg of its tie against Spartak Moskva to power to victory and Kuban is ranked below Spartak Moskva in the Russian Premier League. Bookmakers are reading too much into Kuban’s home and away wins over Feyenoord – the Dutch team is a shadow of its former self – and not enough into its Russian results. Crisis club is an apt description of another Russian Premier League side, Anzhi, which has lost legendary manager Guus Hiddink and a host of key players in recent months as part of Suleyman Kerimov’s drastic cost cutting. Anzhi is 14th in the 16-team Russian Premier League after eight rounds, with last term’s bronze medallists having drawn four and lost four of its matches. Anzhi has not kept a clean sheet this season and its travels to Moldova to face a Sheriff side that has won four games on the bounce. Sheriff, which has registered home victories over the likes of Dynamo Kyiv and Twente, is trading at odds of 3.25 with Bwin to beat Anzhi. In the UEFA Champions League, Plzen is one of those teams that bookmakers continue to underestimate. Plzen, which is unbeaten in the Czech Liga with six wins and two draws this term, is 2.32 with Ladbrokes not to lose its home match versus Manchester City and worth a bet. Manchester City is not playing sufficiently well to be an away odds-on shot. Another UEFA Champions League double-chance play is Austria Wien at odds of 2.63 with Bet365 not to lose when Porto comes to town. Porto came unstuck away from home in last term’s UEFA Champions League, beating only Dinamo Zagreb in its four road assignments. Austria Wien defeated Dinamo Zagreb in Croatia last month so bookmakers should have the home side shorter in all of their game markets. Both teams to score is an increasingly popular exotic and there are a couple of UEFA Champions League matches in which the option appeals – Napoli versus Dortmund and Barcelona against Ajax. Bet365 and Ladbrokes are offering odds of 1.67 that the Napoli-Dortmund game features goals for both sides, while Stan James is quoting odds of 2.00 about the Barcelona-Ajax match not featuring a clean sheet. 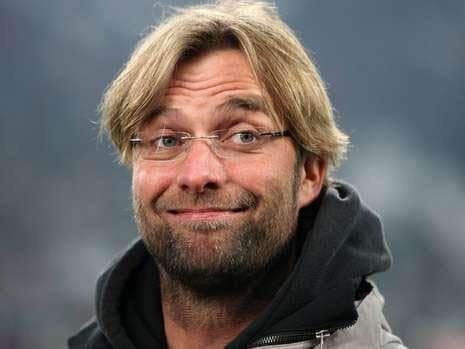 Dortmund has scored in every one of its seven competitive games this term and its boss, Jurgen Klopp, is well known for espousing attacking football. Dortmund will fancy its chance of scoring in Italy, while Barcelona’s all-out attacking play does means that opposition teams have an opportunity or two on the break. Ajax has scored in each of its last 17 matches and, although Barcelona is the strongest team that it has faced for nine months, it will not die wondering. It is suicidal to go to Barcelona to defend. There are several English Football League games this week and no shortage of interesting sides, with the picks being Bournemouth, Burnley, Huddersfield and Leyton Orient. The teams range from 1.75 to 2.25 for league home victories.